Kevin DeYoung had a post on parenting and avoiding the big "freak out". He says, "There are things every Christian parent should work hard to have in place. They just don’t have to do with how much ice cream the kids eat and whether you can breastfeed on roller skates. Work hard for the things that matter." Parents, be encouraged by this post. Jim Eliff wrote a post about kids sports and church. He wrote, "When the team says, “We need you,” we sacrifice to do it. But when it crosses the time allotted to spiritual edification and worship, the Ruler of the universe is often sent to the bench. In the process, we teach our children that devotion to sports is more important than both devotion to God and loyalty to our spiritual family." Parents, be aware of the choices, and sacrifices you make. Psychology Today had a post linking kids "screen-time" to their moods (mostly anger, depression, and/or lazy). The author writes, "Time and again, I’ve realized that regardless of whether there exists any “true” underlying diagnoses, successfully treating a child with mood dysregulation today requires methodically eliminating all electronics use for several weeks—an “electronics fast”—to allow the nervous system to “reset.” Parents, we need to be more aware of the effects that screen time is having on our kids. I will always remember the first time I exploited my press credentials. In 1997, I was a greenhorn sports editor at The Prince George’s Sentinel, a weekly, tabloid-sized newspaper in Seabrook, Maryland. It was a one-man, part-time gig where I was responsible for one, maybe two, pages of sports per week. On the ladder of sports journalism, this was the bottom rung. Being a small weekly, the Sentinel’s bread-and-butter coverage was local community events like high school football and Saturday morning swim leagues. Yet when I saw the NBA’s Washington Bullets (now Wizards) were hosting the Chicago Bulls on Feb. 21, 1997, I quickly got credentials for the game. I couldn’t resist the chance to see history’s greatest basketball player in person. Apparently, 18,756 fans had a similar idea that night. Like me, they had come to witness Michael Jordan. At that point, Jordan, 34, was still near the height of his prolific powers, averaging about 30 points a game and closing in on the fifth of his six NBA championships. He was his typically dominant self that game, scoring a nonchalant 36 points in a 103-99 Bulls victory. As soon as the game ended, I made a beeline to the visitor’s locker room. Rookie mistake. When I arrived, a three-deep throng of reporters was already camped out at the locker of His Airness even though he was still showering. I decided to skip the mob scene and try to catch Jordan for a question or two alone after the media horde dispersed. Just think … an exclusive, one-on-one interview with MJ! Shortly afterward, I saw Jordan leaving his locker and quickly went into hot pursuit. My heart was racing as I trailed him. Will he allow me a couple questions? Will he shoo me away like a gnat? As he passed through a doorway, suddenly a very large man with a very stern scowl appeared out of nowhere, blocking my path. He crossed his very large arms menacingly and, without saying a word, shook his head. Interview opportunity over. Access denied. It’s hard to gain access to sports’ biggest superstars. Sometimes, not even a press pass and youthful gumption are enough. Aren’t you glad it isn’t like that with God? The Lord God Almighty isn’t an aloof, far-off deity who is too important to be bothered. For believers, he is a loving Heavenly Father (Matthew 6:9) who desires close, personal fellowship with his creation. We see this throughout Scripture as he continually interacts with his people in many different ways. But how is this possible? How can sinful rebels enter into God’s presence? How can we gain personal access to a holy God? Hebrews 4:14-16 provides the answer. Jesus, our “great high priest who has passed through the heavens,” has bridged the gap between heaven and earth by his sinless sacrifice. Hebrews 4:16 gives the payoff: “Let us then with confidence draw near to the throne of grace, that we may receive mercy and find grace to help in time of need.” At any moment of any day, Christians can confidently approach God’s throne in prayerful praise and supplication. This is astounding! I couldn’t grab 30 seconds alone with Michael Jordan, but as a redeemed child of God, I possess unfettered access to the sovereign Creator of the universe. He is near (Philippians 4:5) and accessible. He wants to dwell with us forever, and one day, we will see him face to face (Revelation 22:4). Let this truth saturate your soul. Then teach it to your children. Remind them that there’s a God in heaven who desires to save them, bless them and dwell inside them through his Spirit. Show them the way to this remarkable reality by telling them, once again, about the Savior. By his finished work on the cross, Jesus provides us the credentials to gain access to God! 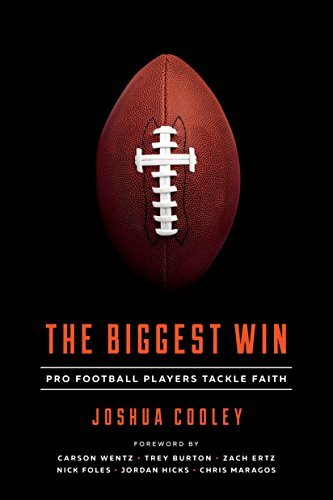 Joshua Cooley is a children’s ministry director in North Carolina and an author of several books. His latest are the Heroes of the Bible Devotional, a 90-day children’s devotional, and One Year Devotions With Jesus, a 365-day devotional for pre-teens and teens. Both are published by Tyndale House. You can learn more about Joshua and his writing on his website, www.joshuacooleyauthor.com. It's that time of year when work stops for basketball. In the state of Kentucky where I live we have two sweet 16 teams and one hoping to go 40-0 and win the title. It's gotten me thinking. How are we to think about sports events like this as Christians? How can we help our kids - especially young boys who are talking about this with their friends all week at school - think about March Madness in light of the gospel? 1. God gives us moments like this to enjoy, so enjoy! Anything in the world that we get excited about or take delight in originated with him, so let’s celebrate the competition, and, in doing so, celebrate him (James 1:17). 3. Point out examples of unselfish play. When stars like Jahlil Okafor or Willie Cauley-Stein look for the dish instead of being a ball hog and taking it themselves, point this out to your kids. Unselfish play provides an opportunity to talk about working for God rather than men and putting others ahead of ourselves (Philippians 2). 4. God wants us to enjoy the game, but he wants our happiness to be anchored in him. Basketball fortunes change with the bounce of a ball, the choices of an 18-year-old, or the randomness of a whistle. If you’ve chosen sides, there is (at least) a 50/50 chance that your team’s winning ways will change. But God never changes (1 Timothy 6:17). 5. Ask the question, “How devastated will you feel if the game doesn’t go your way?” If it will ruin your whole week, it’s a good indication you’re turning a good thing into an ultimate thing. Ask a gracious God to help you with this. Allow him to engage you in a wrestling match with your heart. Ask him to become a bigger delight to you than he presently is. 6. Love your enemies. This is just a game. If the game cripples your ability to relate to others (particularly others rooting for the other team), that’s another good indication you’re turning a good thing into an ultimate thing. 7. Finally, use the game as an excuse to show gospel hospitality by inviting in and getting to know your neighbors. If you haven’t noticed, this is a major cultural event. It’s a great opportunity to show some neighborly love to friends who don’t know Christ (1 Corinthians 9:20). Throw and party and invite your neighbor over. What are you doing to enjoy the games this year and share it with your family and friends? Leave a comment below.